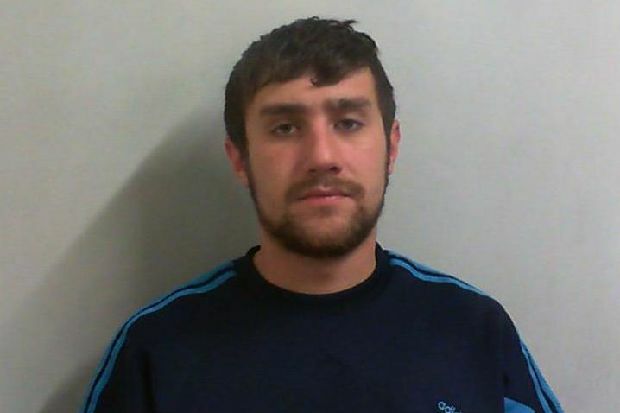 A drunken thug bit part of a man’s ear off while the victim was asleep, a court heard. Kyle Stephenson, 24, chewed on the sleeping man’s outer ear following a drinking session in Scarborough. The 25-year-old victim, who was sleeping off the booze at a flat in town, woke to find part of his ear missing, said prosecutor Bev Tait. It was found in the bathroom of the property in Westborough belonging to a man who had let the victim and Stephenson sleep over for the night. The victim, who was named in court, suffered a 4cm cut to his ear as well as bruising and a black eye from what appeared to be a punch while he was asleep or unconscious. His horrific ear injury had to be stitched at Scarborough Hospital. The court heard that the victim suffered what is thought will be permanent disfigurement. Ms Tait said the victim reported the incident four days later when he took the dislodged ear part to a local police station. Stephenson was arrested six days later and hauled in for questioning but made no comment. He was nailed by DNA evidence on the missing ear part. Stephenson, of Sandstone Road, Eastfield, was initially charged with inflicting grievous bodily harm with intent, but ultimately pleaded guilty to an alternative charge of GBH without intent, which was accepted by the prosecution. He appeared for sentence on Friday when he was jailed for 27 months, due in part to his track record for violence – including a previous biting incident. Ms Tait said the latest shocking incident occurred on September 5 last year, when the victim ended up at the flat in Westborough in the early hours of the morning after a night out at the L’Amour bar in Scarborough. At one point, Stephenson and the victim had to be held apart after tempers flared. The victim, who was drunk, then passed out in a bed. The victim then realised he was bleeding from his ear, part of which was missing. “That (the small missing ear part) was discovered by (the home owner) a little later… in the bathroom,” added Ms Tait. Stephenson – who was on bail and under a court order at the time after being arrested for a previous violent incident – had by now left the flat but returned later in the day. “He was saying that he couldn’t even look at the (victim) and apologised for what happened,” said Ms Tait. The victim said he was finding it hard to come to terms with the grisly attack, which left him feeling “vulnerable, scared and powerless”. He said he was “shaking and panicked” in the immediate aftermath and his work had since suffered. He said he felt “ashamed and embarrassed” about having lost part of his ear, adding that the hardest part was having to explain to his young son what had happened. Ms Tait said Stephenson had 20 previous convictions for offences including alcohol-related serious violence, wounding, public disorder, threatening behaviour and damaging property. She said his last conviction for ABH, in November last year, “involved biting”. That resulted in a 30-week prison sentence. Defence barrister Taryn Turner said Stephenson was “immediately remorseful” after he came around from the booze following the attack. She said he was “thoroughly ashamed” and urged the judge to suspend the inevitable prison sentence, citing the father-of-one’s “good progress” on his previous court order. But Recorder Jonathan Sandiford said such a serious attack could only be met with an immediate jail sentence, adding: “On the face of it, the defendant waited until the (victim) was asleep and bit off part of his ear and disfigured him. Stephenson was jailed for over two years but will serve only half of that sentence behind bars. The judge made no order for costs or compensation because of Stephenson’s unemployment and limited financial means.